Asheville NC has some of the finest gated, lock and go style communities in this country. 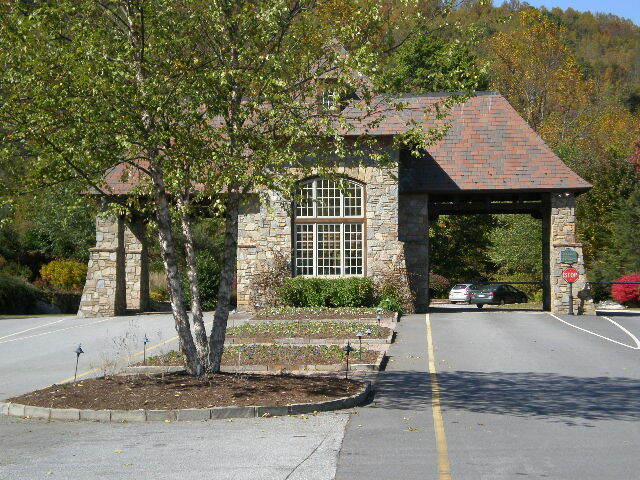 Enjoy the security and peace of mind that a gated luxury home community can offer here in the Asheville area. Call Green Mountain Realty today at (828)-215-9064 or contact us for a tour of the finest luxury home gated communities that the Asheville area has to offer. I have a question about the property at 212 Sweethart Place Waynesville NC 28786 (#3418891). I would like to schedule a visit for the property at 212 Sweethart Place Waynesville NC 28786 (#3418891). I have a question about the property at 24 Ridgepoint View Burnsville NC 28714 (#3398469). I would like to schedule a visit for the property at 24 Ridgepoint View Burnsville NC 28714 (#3398469). I have a question about the property at 7 Green Laurel Trail Fletcher NC 28732 (#3431113). I would like to schedule a visit for the property at 7 Green Laurel Trail Fletcher NC 28732 (#3431113). Gated estate with privacy and convenient location.Nearly 6 acres,views,a short golf cart ride to the club and marina.Or take the path from your door to a private dock on 65-ac Lake Cardinal.Designed by Platt, this 5,000 sq ft post&beam lodge has an open great room, native stone fireplace and a chef's kitchen.Huge master suite with an office with fireplace and private porch.Plus a guest room and 3 BRs up. Down is a rec room and tons of storage. Minutes away...NC's largest private lake. Listed by Jodi Moore and Tony Austin of Lake Toxaway Co. I have a question about the property at 66 Cardinal Drive Lake Toxaway NC 28747 (#3174921). I would like to schedule a visit for the property at 66 Cardinal Drive Lake Toxaway NC 28747 (#3174921). AUCTION. Bid 3/22-28. Currently $1.599M. Showings Daily 1-4PM & by Appointment. This luxurious mountain-top home offers stunning views from every room and large outdoor entertaining spaces. Its location and private, gated entrance make this home the perfect retreat-permanently or as a vacation home. Watch the sun rise from the sprawling wooden deck or spend the evening beside one of the three stone fireplaces when the weather gets colder. From the gorgeous stone exterior and three-car garage to the chef's kitchen with top-of-the-line appliances and large living room with coffered ceilings, this custom home offers comfortable luxury. In addition to the existing four bedrooms and four full baths, there is over 2,000 sq. ft. of heated, unfinished space perfect for a recreation room or additional bedrooms. With unbeatable views and ample space to entertain, this North Carolina home is the ultimate mountain escape. I have a question about the property at 125 Stone Brook Trail Black Mountain NC 28711 (#3381388). I would like to schedule a visit for the property at 125 Stone Brook Trail Black Mountain NC 28711 (#3381388).